Mountains, glaciers, beluga whales, and ocean views are a few of the spectacular sights you can take in on the Firdwood to Indian Pathway. Location: Mile 90 to Mile 103 Seward Highway, Just up above Seward Hwy, connecting Girdwood to Indian, overlooking Turnagain Arm. Known to locals as the 'Bird to Gird' this trail was recently enlarged to include an extra six miles to Indian. 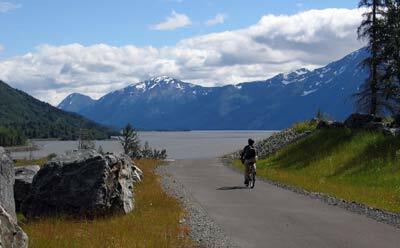 The now thirteen-mile pathway follows the Turnagain Arm next to the nationally designated Scenic Seward Highway. Most of the trail was built on the old highway alignment when the highway was moved closed to the ocean. Interpretive signs of geologic features, wildlife and avalanche mitigation line the trail. Three communities Girdwood, Bird and Indian are connected by this trail for the benefit of the residents. Trails leave the path and access each of the communities own valley trails. The trail passes through the birch and spruce filled Bird creek campground allowing trail users to stop and spend the night if needed. Parts of the trail are groomed for cross-country skiing in the winter by Alaska State Park Rangers. 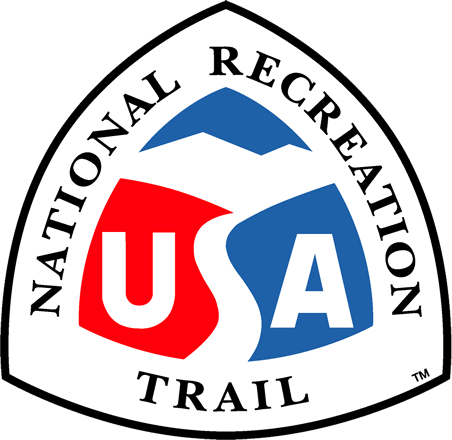 Bikers, hikers, dog walkers, skate skiers, and rollerblades as well as many others enjoy the use of the trail. 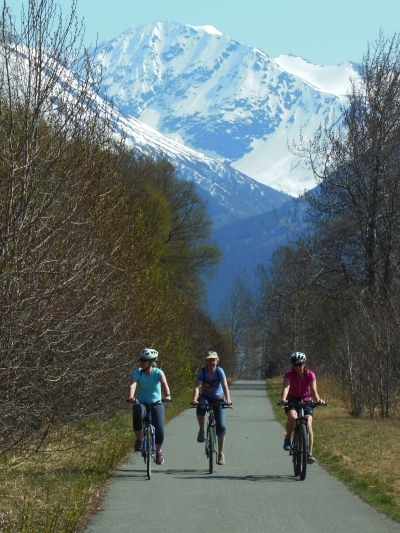 Bicyclists enoying spring sunshine on the Bird-to-Gird Trail near Anchorage. Photo by Susan Sommer.